The ‘th’ sound is one that speech therapists are asked about all the time; children saying fank you rather than thank you or calling thumbs, fumbs. ‘th’ is one of the last sounds to develop in English and it is still within normal limits for a 6 year old to say fumbs. This can be a little tricky when they are expected to read it correctly at 5! It is also often a part of the local accent. I know many grown ups who don’t use the th sound. We are often asked about this sound by teachers. In this case we need to do a little unpicking and find out exactly what the concerns are. Is the child not saying the ‘th’ sound when talking? Are they not saying it when reading? Do they look at the ‘th’ written down and say ‘f’? or when asked to find a ‘th’ written down, point to an ‘f’? We need to find out if this is an issue in making and using the sound or in hearing/ discriminating the sound. 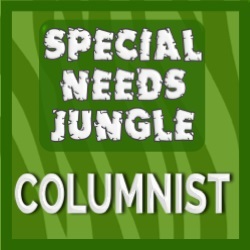 A quick health warning – this post is really for children who are just missing the ‘th’ sound, not lots of sounds. It is also for children making normal errors. If you are unsure, please seek out an assessment from a speech and language therapist. 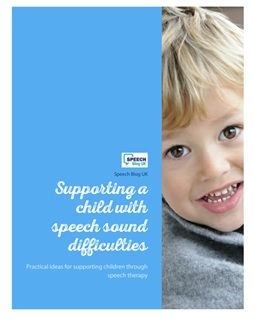 So what do you need to know to help a child with the th sound? Firstly, there are actually 2 different sounds we make for the written letters ‘th’. One is the quiet or voiceless ‘th’ in thumb and bath. The second is the noisy or voiced version in words like the, there and brother. This is important when we look at the errors that children normally make. The quiet ‘th’ normally becomes a ‘f’ and the noisy one becomes a ‘v’ or a ‘d’. Now we aren’t expecting you to assess a child’s speech, but hopefully you can hear if they say fumb or dere/ vere (there). If the child is using a different sound it is best to seek out a referral to a qualified speech therapist. The following tips are for children following the normal developmental pattern. When you teach any sound, the first thing you need to do is ensure that the child can hear the difference between the target sound and their error. 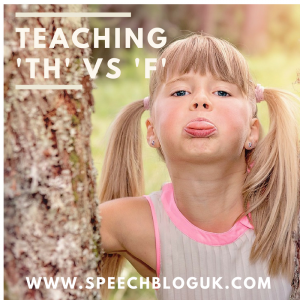 Now ‘f’ and ‘th’ sound very similar – stop and make the sounds and listen to how alike they are. The best way to help a child hear/ discriminate between these sounds is to get them to look at your face. Exaggerate the sounds when you say them. For the ‘f’ bite in your bottom lip with your top teeth. For the ‘th’ stick the tip of your tongue out between your teeth. I always call the ‘th’ sound cheeky as you have to stick your tongue out to make it. You can use the Jolly Phonics pictures for ‘f’ and ‘th’ or write the letters down if the child knows the letters. Encourage them to look at your face as you make one of the sounds, then get them to point to the one you said. If they get it right, remember to praise them. If they get it wrong, get them to look at your face again and talk about what you are doing with your tongue/ lips. When the child is really good at this, you could try covering your mouth as you say the sounds but this is very tricky! You can then move onto listening for the sounds in words. As above say a word with either a ‘f’ or ‘th’ and get the child to point to the correct picture/ letter. To help the child link the sounds with the written words, you could write some words down on individual pieces of paper. Pick one up without the child seeing and say the word. The child then points to the corresponding pictures/ letter. You can then turn the word around and check with the child if they got it correct. You can also play right/ wrong at this point. Children normally love being the teacher. Say a word – sometimes correctly, sometimes incorrectly and see if the child can tell you if you are right or wrong e.g. thumb – right, fank you – wrong, de (the) – wrong, then – right etc. Practising these skills will help with the reading part of this sound. Make sure you really practise these skills with the child before you move onto encouraging them to make the sound. For more details on production of the ‘th’ see next weeks post! Remember to keep practise fun and if in doubt seek out assessment from a qualified speech and language therapist. For the second part of this post, click here.